New image in 'Fortnite' meteor seems to confirm superhero theme for next season. 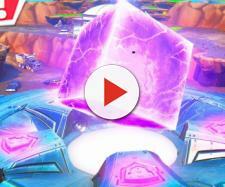 Yesterday, Epic Games posted a Tweet showing an image of what appeared to be a superhero in the meteors that have been showering "Fortnite" for the past couple of days. The entire week has been filled with plenty of clues and information on what might be expected when the new season for "Fortnite" begins. After yesterday's Twitter post, many people are thinking that superheroes are the likely theme for next season. According to Forbes, Epic Games posted a Tweet showing another image in the meteor. The new image in the Twitter post appears to be a female superhero, closely resembling Wonder Woman. If that is the case, then superheroes are possibly going to be the likely theme for the next season. Theories that players made regarding the meteor include an alien invasion, a post-apocalyptic theme, and a dinosaur theme -- all of which seem to have been disproved with the release of this Twitter post. However, it's still unclear whether or not the meteor will destroy Tilted Towers or wipe out the entire map. There were several accounts of meteors striking the map yesterday when players were online, but nothing appeared to be getting destroyed by the meteors. With only a few days left, players can only sit and wait until the next season is live. The quote on today's Twitter post also changed from yesterday's. The caption from yesterday was "Battle. Adapt. Win," but today's caption says, "Fight with Honor." The change in tone seems to show that the next season could be a superheroes vs.
villains sort of thing. Not to mention, the characters in the meteor image appear to be staring down at one another. Perhaps the first character may be the cause of the impending meteor destruction and the second character is trying to stop the map from being utterly destroyed. Either way, there is definitely a huge conflict at hand here and Epic Games is doing a great job of giving us just enough information to keep us on the edge of our seats. Both characters in the meteor could also be possible skins for players to obtain for the next season, although it is unclear whether or not players can only obtain them if they have the Battle Pass or if they can earn them by leveling up. 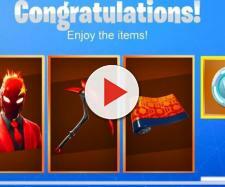 "Fortnite" skins are pretty unique and are well designed and if superhero skins are released for the next season, we can expect them to be quite epic as well.